A while back, an online friend sent me a link and told me to list my blogs on Amazon Kindle to earn some money. I bookmarked the site and totally forgot about it. Yet, in the back of my mind I said I would look into this and get my blogs out there. Looking into my bookmark folder, I found a long line of sites that I barely even look at, and of course, Amazon Kindle website! 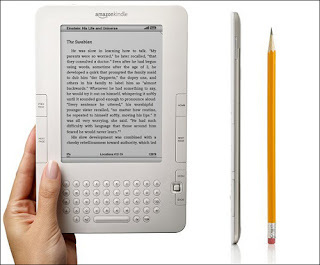 I caught a show on Oprah, who was heavily promoting Kindle, a reading electronic device. 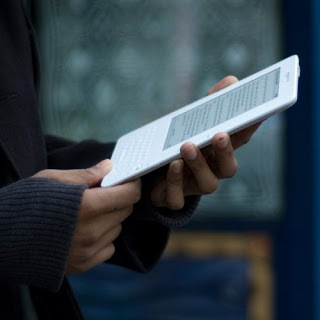 This device allows people to purchase and download books on it to read. This device is selling for about $300 dollars and is one of the hottest items on the market. This is just another way for you to earn pocket money, and get your blog out there. Give it a try, and read Amazon's term and condition carefully before committing yourself. great info Icy, I will have to share!